In-display fingerprint sensors, along with notches and bezels, are all the rage these days. 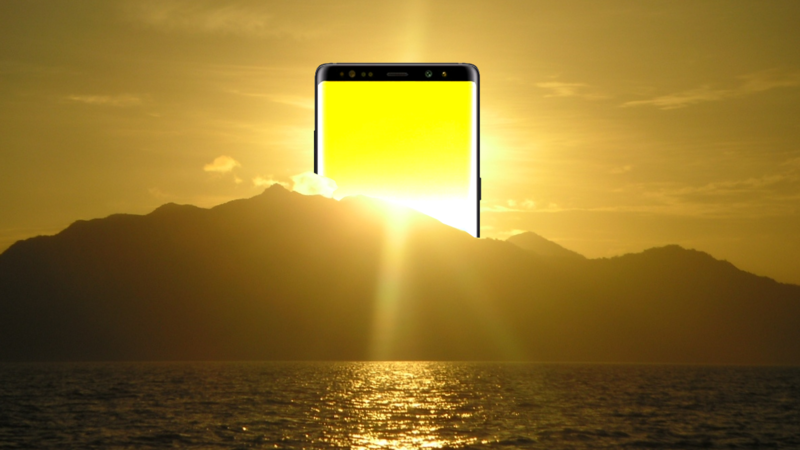 We've been hearing a lot of stories about when Samsung will implement this long-awaited technology on its phones lately, but according to The Korea Herald, the company's very next flagship, the Galaxy Note9, will sport one. Another source was quoted as saying, "There is enough time for the display company to improve the technology to meet the handset maker’s expectations before the launch of the Note 9 in late August,” so even though the tech might not be perfect right now, Samsung could still green-light the decision. He went on to explain that although the location of the Galaxy S9's fingerprint sensor below the camera is better than the S8 and Note8's implementation, putting the fingerprint sensor on the back still robs space that could otherwise be used to put a larger battery in. Traditionally, the final decisions on flagship phones have been made about five months before their launches, so this timing is about right. In spite of some doubt about how cost-effective and well-implemented these in-display fingerprint sensors will be, confidence levels for this rumor seem high.